The town of Zionsville, founded in 1852, lies to the west of Carmel in Boone County. Zionsville is a popular Indianapolis suburb known for excellent schools, a charming downtown area, and some of Central Indiana's most beautiful real estate. 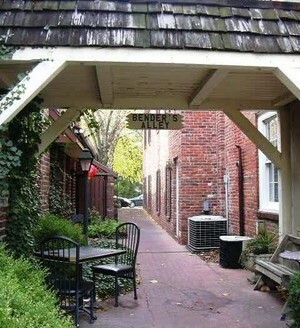 Zionsville's historic downtown area features art galleries, boutiques, restaurants and quaint cafes nestled along its fabled brick paved streets. The peaceful, tree-lined streets are a visual reminder of a bygone era still cherished by Zionsville residents. Lions Club Park includes facilities for baseball, tennis, picnicking and playground activities. There are several private golf courses, public tennis courts, a private swim club, and easy access to both Eagle Creek Park and Morse Reservoir. There are several horseback riding stables in the area. The Soccer Park has four playing fields. Lincoln Park, a quaint area near the center of town, has picnic tables, benches, and walking trails. Zionsville real estate is truly unique. You'll find everything from perfectly preserved historical homes surrounding the downtown village--many dating back to the 19th Century--to sprawling horse farms at the edge of town.